Fox embellished sweaters are popping up everywhere from Burberry to Tory Burch, retailing from $495 to $82.78 - depending on the brand. Old Navy has a similar fox sweater, giving you the look for much less cash. It retails for $29.94 and also comes in two other animal prints (amonng other prints) - sheep and an owl. Click HERE to view or purchase. 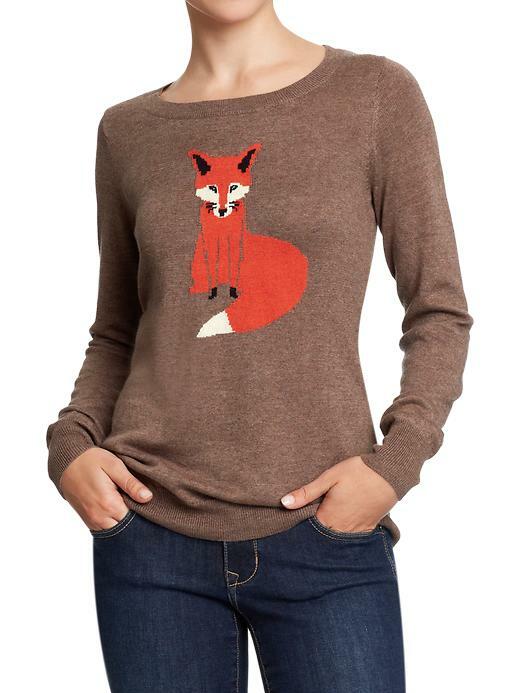 I just ordered the ON fox sweater...so cute and so much less...Thanks! So pretty fox sweaters, amazing colors. love then .